In addition to the functional and durable tactical vest, an important element of the soldier's outfit are pockets and thigh panels that help accommodate the necessary equipment. 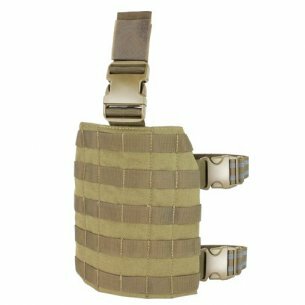 A well-fixed system, of which tactical pockets are part, should primarily be adjusted so that it fits well with the anatomical conditions of a given soldier. 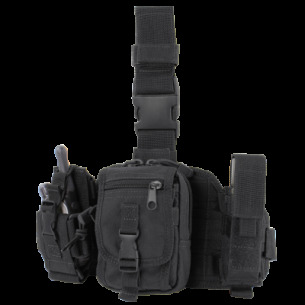 It works perfectly well when it is necessary to move additional equipment and pouches. 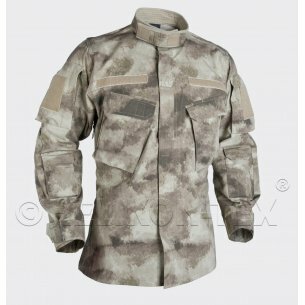 Camouflage properties should distinguish the thigh panels, which made of olive, black or brown shades of materials are hardly visible in difficult forest, desert or marshy areas. The pockets and thigh panels are usually made of polyester, which is waterproof and resists stains. Fixing on the thigh or waist makes the use of equipment very functional. The comfort of use and the reliability with which Velcro, hooks and handles are made are important. The tape fastened with a buckle guarantees the stability of the panel on the soldier's leg, which must ensure that the tactical accessories do not move during the execution of even the most sweeping and fast movements. This comfort is ensured by using a rubber-like material to finish the panel from the bottom. The thigh panels have detachable tactical pockets, which are completely adapted to the needs of the soldier. They can be used to organize radio equipment or be a perfect place for a pistol magazine. Tactical pockets easily accommodate a compact camera, documents or dressings. The thigh panels are the perfect place to hide a knife or a small flashlight. If necessary, the panel can be removed quickly and get rid of it. 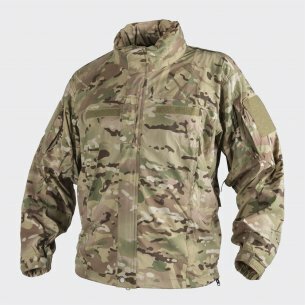 This is a very big advantage, especially in uncomfortable conditions on the battlefield or during long walks in difficult climatic conditions. 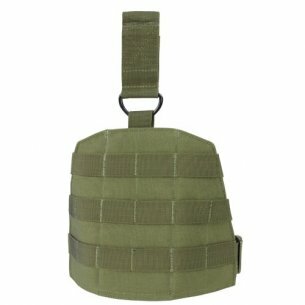 Military accessories that a military store offers are available at an attractive price. High quality of products makes customers willingly use our range. The army and special services have been equipping their branches with pockets and thigh panels for many years, which are reliable not only during the action in the country, but also pass the exam in exotic countries and during complicated missions. Tactical accessories constitute a small percentage of all equipment offered by a military store. 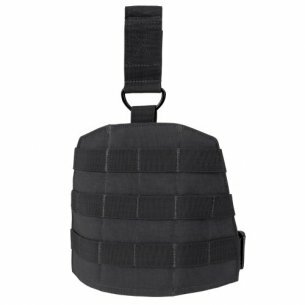 In addition to them, in a wide range, soldiers will find well-organized military vests and military backpacks that are perfectly suited to the soldier's hard working conditions. 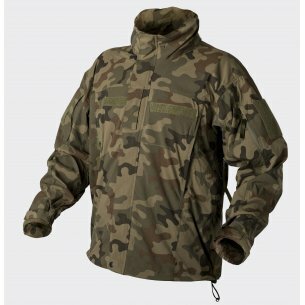 The military store uses products that are created and improved by a reliable manufacturer, Condor. The thigh pockets are made of durable polyester that does not rub easily and does not leak water, which works well in humid climates and during the rainy season. The above accessories are anatomically fitted to the thigh, which minimizes the risk of slipping. 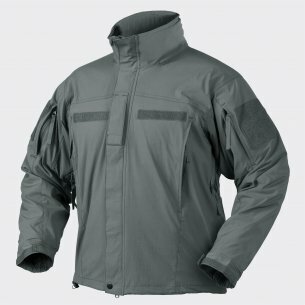 The pockets and thigh panels are additionally equipped with non-slip systems that ensure the comfort of the missions. Non-slip system is tested and tested in various conditions, so that the products offered are created to the highest standards and meet the requirements set by the army and special forces. 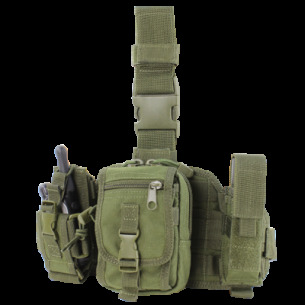 The military store offers a wide range of soldiers' equipment, including, among others, professional tactical accessories supplied by reliable producers. 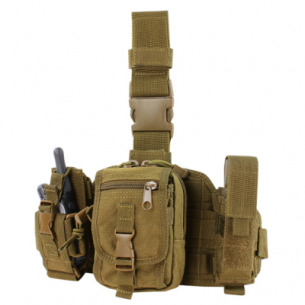 Military accessories are available at a very favorable price. Manufacturers operate in the military market for many years and have extensive experience allowing to improve product offerings and use the latest technologies that greatly support military equipment.